Barbera has endured decades of begrudged tolerance among winemakers and wine lovers alike. It is a grape easily dismissed as undeserving of respect or adoration. Still, over the years, winemakers have grown more able in creating a process that presents Barbera in its best light. Barbera has lacked respect in the wine world because it was said to be too acidic, too rustic, too coarse, lacking flavor and compromised too easily. Historically, Barbera's only apparent redeeming quality was its cheapness or more modestly put, its value. Perhaps it has had a bad reputation because it is a primary Piedmont resident in Italy's northwest wine region, where the other two grape varietals are Nebbiolo and Dolcetto. These two powerhouses overshadow Barbera in respect and admiration. It's grown in other Italian wine regions, as well. In fact, after Sangiovese, Barbera is the second most planted grape in Italy. 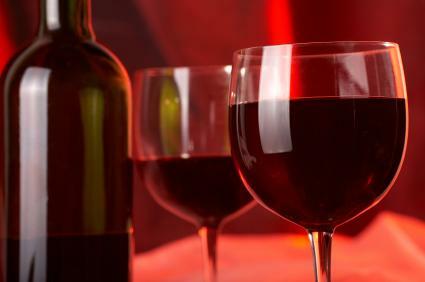 While Barbera frequently has been spurned, bottles of it are commonly found as the table wine in Italian restaurants. Barbera's reputation for creating lackluster character, dearth of flavor and biting acidic wines has started to wear off. The wines deserve a chance. Barbera's will probably never rise to the stature of Barolos or Brunellos, but winemakers are getting wiser in their approach to and handling of the grape. They are planting the vines in better sites, reducing yields and paying more attention to wine production. Longer aging in oak has proven effective to enhance Barbera's Spartan character. It brings out the flavor and builds balance. For decades Barbera has suffered under neglect and lack of attention, but the new style is bringing out the richness in the fruit that balances the grape's inherent acidity. The result is a Barbera completely different in style and character than earlier versions. While wines made from the Nebbiolo grape gain most of the attention in Piedmont, there are 15 times more Barbera grapes growing in its vineyards. Part of the reason might be attributed to Barbera's hardy knack to grow profusely in places other grapes struggle. Barbera wines are a bright ruby red in color. As the wines age, the color turns to garnet with brownish edges. Barbera wines have negligible tannins and do not age as well. Because of this, the wines drink well young, and experts recommend you consume Barbera within four to six years of the vintage. A good Barbera shows flavors of black cherries, blackberries, currants and plums. There are essentially two types or styles of Barbera, the pre and post wines. The pre is made in the tradizionale method before the changes to the winemaking process. The pre Barbera is simple in structure with spare fruit character that is accentuated with a sharp acidic tang. The post Barbera exhibits more extracted fruit, density, and an indication of oaky tannins to provide a counterweight to the fruit's natural acidity. Why, with all the great Italian Barolos, Barberescos, Brunellos, Chiantis and Super-Tuscans, is Barbera so popular? The simple answer is food. The problem with a lot of fruit-bomb wines is the lack of acidity, which makes it an inspirational and creative task to match with food. Barbera is easy. The wines have good acidity, making it a natural and flexible companion to many foods. It pairs particularly well with pizzas, pastas, grilled poultry and meats, prosciutto, Reggiano Parmigiano and pane rustico. The best Barberas will probably come from Barbera d'Alba or Barbera d'Asti, and these wines are predominantly made from 100% Barbera grapes. In other areas, it tends to be blended to offset some of the grape's natural limitations. The following are just a few that consistently stand out. Note that many are excellent Barolo producers that also make Barberas. If you fancy a particular winery and their Barbera, push the envelope and try their Barolo...and vice versa. Regarding price, the tavola version will run about $10-$12 but the complex Barberas will cost between $15-$35. Wine: Bricco Blini, Barbera d'Alba. Price: $12. This is a straightforward Barbera that will show balance of berry fruit, acidity, depth and a dearth of tannins. Wine: Barbera d'Alba Trevigne. $25. Clerico is located in Monforte d'Alba, producing mostly Barolo wines. He also makes an outstanding Barbera from three vineyards and ages it in French oak. Wine: Barbera d'Alba "Ciabot du Re", Barbera d'Alba. Price: $20-$40. The "Ciabot du Re" is the one to look for from Fratelli Revello. It's released after two years of harvest and shows more depth in fruit and structure than the Barbera d'Alba that only ages one year. Wine: Barbera d'Alba D.O.C. And Barbera d'Alba Superiore Price: $20-$30. Michele Pasquero and his wife, Annette Hilberg, promote biodynamic farming at the Pasquero winery. They produce excellent wines with Barbera and Nebbiolo. The Barbera d'Alba is a younger wine with fresh fruit intensity. The Superiore exhibits more complexity of raspberry, violets, and smooth texture. Wine: Barbera d'Alba Gallina, Barbera d'Asti Sup. Bionza, Barbera Ca di Pian. Price: $40 and up. Look for the Rhino on the label. Winemaker Giorgio Rivetti made his reputation on a Super-Piedmont, particularly on his Monferrato Rosso Pin wine blend of Nebbiolo and Barbera. Wine: Barbera d'Alba D.O.C. Ginestra. Price: $25. As you may suspect, this is another family owned estate in operation since 1886. Conterno is known more for its various Barolos, but they also have a solid and flavorful Barbara d'Alba Ginestra with traditional Barbera tang. Wine: Barbera d'Alba Affinato in Carati. Price: $40. Paolo Scavino is a modern and one of the most respected winemakers in Italy. Wine: Barbera d'Alba, Pian Romualdo Barbera d'Alba Price: $15-$45. The Prunotto wine estate began after World War I, in 1923, led by winemaker and founder Alfredo Prunotto. It is currently owned by the Tuscan wine company, Antinori. With so many choices, there's a Barbera to fit your taste and budget. Try a Barbera today and explore this often undervalued wine.